I rise today to provide an update to this Honourable House on the status of proposed legislation to regulate Initial Coin Offerings in Bermuda. 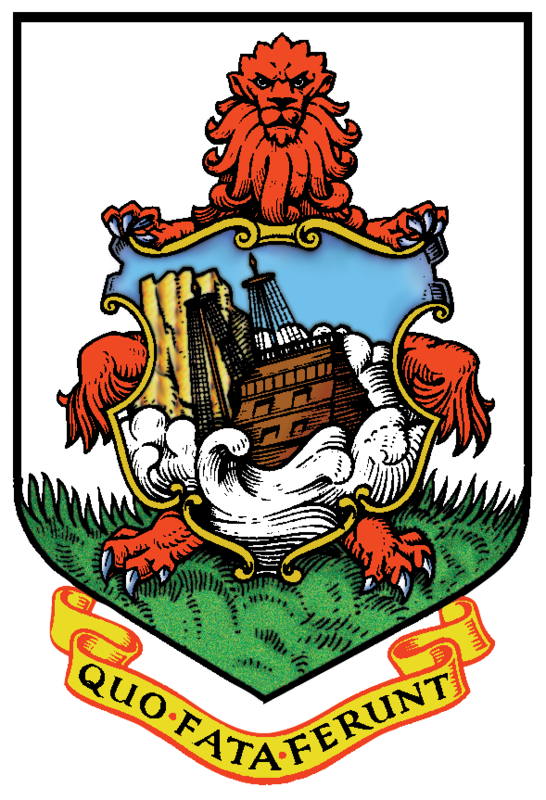 As members of this Honourable House are aware, Bermuda has a long-standing reputation as a jurisdiction of choice for international business. In order to improve our competitive standing, we must continuously update our legislative framework to adapt to constant changes in market demands and other factors which impact our global position. This includes making adjustments to respond to emerging industries and technological innovation. Honourable Members may recall that in November 2017, I announced the formation of a Blockchain Task Force which included a Business Development Working Group and a Legal and Regulatory Working Group. The overall goal of the task force is to help create an eco-system that is both well-known and attractive to businesses whose operations include the use of blockchain technology. Whether it’s a start-up or previously existing business with a long-standing history and reputation; whether it’s small, medium or large, our intention is to bring more businesses, more jobs and economic growth to Bermuda. The Business Development Working Group is charged with identifying new opportunities to increase Bermuda’s global profile and fostering new business relationships in this space. Meanwhile, the Legal and Regulatory Working Group is responsible for developing an appropriate legal framework to govern products and services related to financial technology, or Fintech. Governments around the world are working to keep pace with new and innovative Fintech products, including digital assets such as Bitcoin & Ether. The market for digital assets, and in particular digital currencies, has expanded rapidly in the past few years, despite various points of volatility. While this new wave of digitizing assets and currencies has resulted in substantial opportunities, it has also the increased risk of illegal activities such as cybercrime, consumer fraud, money laundering and terrorist financing. It is imperative that Governments take appropriate action to mitigate the risk of these crimes occurring through the use of companies registered in their jurisdictions. Representatives from the banking and legal industries within the local private sector. Additionally, this initiative is being spearheaded by the Minister of National Security, the Honourable Wayne Caines, who in November was assigned responsibility for ICT Policy & Innovation. I would also add that Minister Caines is both a lawyer and a former chief executive of one of Bermuda’s leading telecommunications companies. The appointment of Minister Caines and the members of the Legal and Regulatory Working Group was strategically made to ensure that there was a diversity of perspectives, knowledge and experience engaged in this initiative. We live in a dynamic world, which is constantly evolving as a result of technological innovation. The recent emergence of distributed ledger technology, which includes Blockchain, has provided a foundation to disrupt and revolutionize the traditional methods by which we live and transact business on a day-to-day basis. This technology has created new service offerings, new payment mechanisms, new investment opportunities and new ways to raise capital for business ventures. One example, which is becoming increasingly popular, is Initial Coin Offerings, commonly referred to as ICOs. This new and innovative method of crowd funding has increased opportunities for entrepreneurs and small and medium-sized businesses all over the world. Companies engaging in ICOs have experienced tremendous growth through increased funding from future customers, and without the use of traditional funding methods such as commercial lending, venture capital investments and Initial Public Offerings of ownership interests. ICOs have been used to enhance existing product and service offerings and to develop and implement new ones, all without the added costs and burdens of having to hire expensive middlemen to arrange transactions. As such, the Government will soon circulate for consultation a draft Bill containing proposed amendments to the Companies Act 1981 and the Limited Liability Company Act 2016 which will govern the conduct of ICOs in Bermuda. The draft Bill includes minimum requirements that will be applicable to all ICOs. This includes mandatory disclosures of certain information related to the company, the digital asset being offered for sale and the rights of the purchaser to assist the public in making informed decisions about participating in any proposed ICO. To the extent that other laws govern the rights or features of a digital asset offered through an ICO, those laws will continue to apply and be enforceable. This includes securities laws. We recognize that there is concern within well-established industries in Bermuda about digital assets such as Bitcoin, and that Governments around the world are wrestling with ever growing threats related to these new products. However, we cannot remain in what we think is a comfort zone and miss out on an opportunity to be a world leader in an emerging industry. The innovative world of Blockchain and distributed ledger technology is much bigger than Bitcoin and other digital currencies. Laying the foundation for a prosperous future for later generations of Bermudians. Following the consultation period, we intend to ask parliament to meet at the earliest opportunity to debate legislation related to ICOs. Additionally, the Government is also engaged in consultation with the Bermuda Monetary Authority on additional legislation dealing with Digital Asset businesses that we intend to bring to this Honourable House. There is a clear opportunity for the Government to encourage the growth of a new industry in Bermuda and to enhance our regulatory environment at the same time. We will not stand in the shadows and watch it pass us by. In closing, I would like to thank the members of the Legal and Regulatory Working Group, the Bermuda Monetary Authority and our external partners for their contributions to this Bill and to the overall initiative to build a Fintech industry. I would like to thank the internal Government team within the Business Development Unit, Ministry of Finance and Attorney-General’s Chambers for their dedication, hard work and tireless efforts toward meeting the Government’s goals on this project. Finally, I would like to thank the Honourable Minister of National Security for his incredible display of optimism, motivation and commitment to making this initiative a success. He is affectionately referred to in many circles as the Minister of Blockchain, and deservedly so.